Choosing the right venue for your special occasion is a big step, one that is often frustrating and confusing. That’s why we’ve made available package details, rates, and our statement of faith – all of it right here for you to see. Thank you for looking into TFCW as your venue for your event. If you have questions that were not answered after reviewing the packages, please get in touch with us. We look forward to working with you to make your day a special day. Pricing and availability subject to change and owner approval. 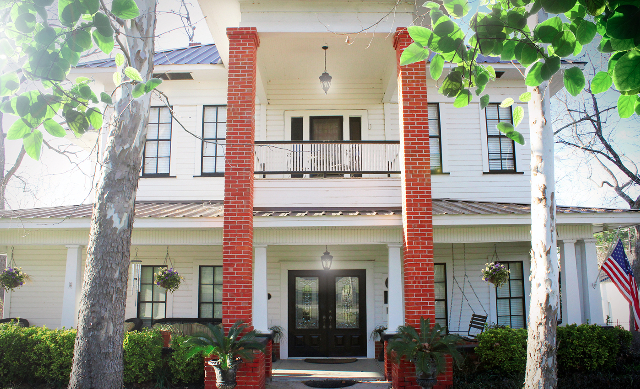 Mansion on Sawmill Lake & Carriage House from Friday at noon for the grounds and at 3PM for the rooms until Sunday at 2PM – Shabby Chic, Traditional, Southern, Victorian, or Lake-side under the big old oak tree. Friday night rehearsal on the property with your bridal party. Beaver Creek Lodge from Friday at noon on the grounds and at 3PM for the rooms until Sunday at 2PM – Our big beautiful log home offers a wedding location of its own at the big log arbor or on the flagstone patio under big live oak tree. You will certainly want to use it for the groomsmen night out and the first night of the honeymoon for the bride and groom. Whole house for two (2) nights including four (4) bedrooms at the Mansion. Carriage House for food preparation and serving or staging area. Beaver Creek Lodge including two bedrooms. Pavilion and gazebo at Mansion. Big log arbor at Beaver Creek. One (1) water cooled fan. Fifteen (15) round tables that seat ten (10) each. or overnight stay for those with a frontier spirit. Use of all our decorations. Use of our golf cart. Two (2) long church pews. Pond fountains at both locations. Approximately fifty (50) brown folding chairs. Approximately fifty (50) white chairs. 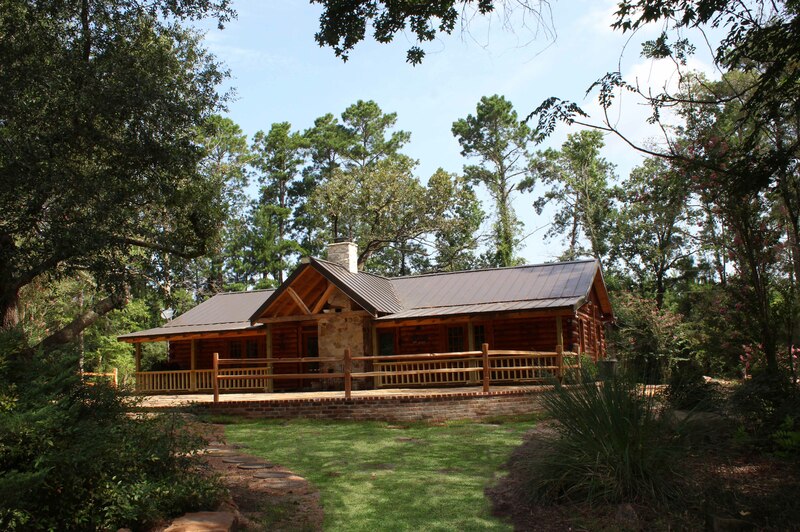 Beaver Creek Lodge from Friday at noon on the grounds and at 3PM for the rooms until Sunday at 2PM – Our big beautiful log home offers a wedding location of its own at the big log arbor or on the flagstone patio under big live oak tree. Beaver Creek Lodge for two (2) nights. Hunter’s Cabin at Beaver Creek Lodge. We believe that all matters of faith and conduct must be evaluated on the basis of the Holy Scripture, which is our infallible guide (2 Timothy 3:16-17). Since the Holy Bible does speak to the nature of human beings and their sexuality, it is imperative that we correctly understand and articulate what the Bible teaches on these matters. We are committed to the home and family as set forth in Holy Scripture. We believe God has ordained and created marriage to exist between one man and one woman, with absolute marital fidelity. The Bible sets forth specific home and family values, which include the distinct roles of husbands and wives, fathers and mothers and children. It is our firm conviction that we uphold the dignity of each individual as we embrace the unchanging and longstanding principles of scriptural truth. Marriage is the uniting of one man and one woman in covenant commitment for a lifetime. It is God’s unique gift to reveal the union between Christ and His church and to provide for the man and the woman in marriage, the framework for intimate companionship, the channel of sexual expression according to the biblical standards and the means for procreation of the human race. The husband and wife are of equal worth before God, since both are created in God’s image. The marriage relationship models the way God relates to His people. A husband is to love his wife as Christ loved the church. He has the God-given responsibility to provide for, to protect, and to lead his family. A wife is to submit herself graciously to the servant leadership of her husband even as the Church willingly submits to the headship of Christ. She, being the image of God, as is her husband, and thus equal to him, has the God-given responsibility to respect her husband to serve as his helper in managing the household and nurturing the next generation. Children, from the moment of conception, are a blessing and heritage from the Lord. Parents are to demonstrate to their children God’s pattern for marriage. Parents are to teach their children spiritual and moral values and to lead them, through consistent lifestyle example and loving discipline to make choices based on biblical truth. Children are to honor and obey their parents. Parking is your responsibility whether using hired or loaned attendants. If alcohol is served, you must provide at least one licensed security officer. Clean up of the property is your responsibility. We will clean up the ordinary use of the house or houses. Please dispose of trash properly. You are responsible for the conduct of your guests. Please encourage a safe and non-boisterous atmosphere during your event. We will have staff available in person or by phone to give directions and assist you in a non-labor way.